Black T-shirt with "Steroid Free Since" design printed full chest. Additional cost for sizes XXL and above. 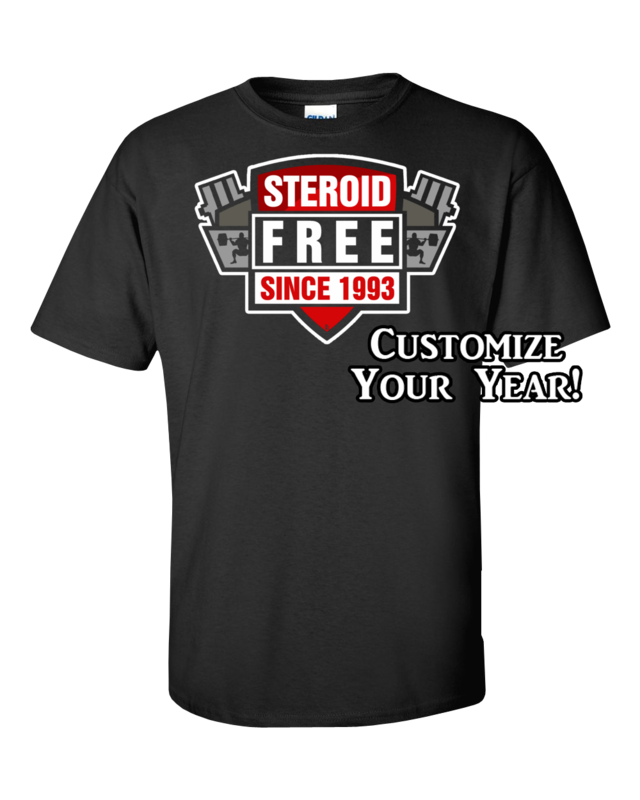 Click the button below to add the Black T-SHIRT Steroid Free Since to your wish list.